They say a picture says a thousand words and I think #MySundayPhoto this week really does! 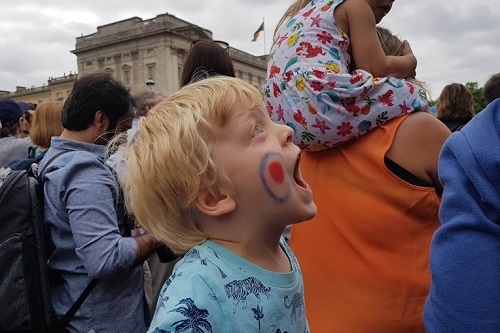 This was the look on Little B’s face when I took him to London to see the Royal Air Force’s centenary flypast over Buckingham Palace – he was in absolute awe. 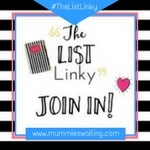 Both his grandpa and great granddad served in the RAF and the flypast was the biggest collection of military aircraft ever seen in the skies together, including the Lancaster bomber in which his great granddad was a navigator. I was keen to take him because actually being somewhere is such a different experience compared to watching it on the TV or reading about it in a book. The atmosphere was incredible – as was the noise! What massive joy, I bet it was an amazing sight to see. Oh bless him, he looks like he is having an amazing time. I bet it was a wonderful sight. His little face! He looks absolutely mesmerised.